SWASHBUCKLER MIDDLE DISTANCE - 12th May 2019 - close to capacity, entries closing 5th May! FORESTMAN FULL, LONG OR MIDDLE - 26th May 2019 - bargain relay option now available! Due to the number of entrants on 12th May we will split the Swashbuckler start into seeded swim waves. Please make sure your estimated swim time is correct & if not either edit it yourself or let us know & we'll update it! We are pleased to confirm that we will be able to offer on-the-day registrations for our final Middle Distance Triathlon at Moyles Court School on May 26th. 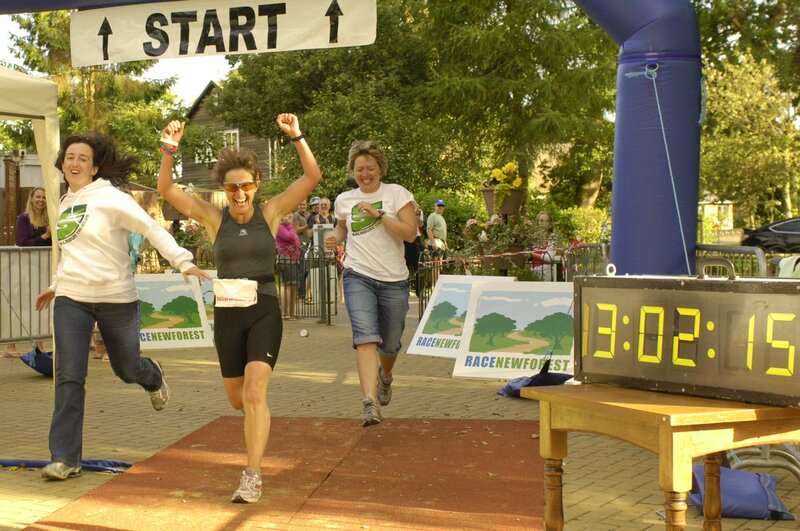 Registration and Briefing for Forestman full distance and Boskman Long Distance Triathlons remains on Saturday but Middle Distance competitors can register either on Saturday 12-4pm or Sunday 5-6am with briefing at the lake at 6.30am. For the full weekend schedule please have a look on the Forestman page downloadable docs! These will be our final three events after 15 plus years of organising multi sport and running events in the New Forest. Race HQ, Transitions and Finish line will all be located at Moyles Court School (venue for our first ever open water triathlons). Camping available for competitors! The swims will be at Ellingham Lake which boasts some of the best swimming conditions and water clarity in the UK with the cycle routes incorporating scenic New Forest lanes and two ascents ( ForestMen) of the beautiful Boldrewood Ornamental Drive. The runs start and finish on quiet roads but for the ForestMen the main section will be three "out and back" laps of the traditional undulating route along Hampton Ridge. Less demanding, probably, than the original ForestMan route....but hey, we're all a few years older now! Boskman and Middle Distance athletes will do "just " one "out and back lap" before heading back to the Finish. All courses are super accurate: see links below with aid stations every 20 miles on the bike and 1.5 miles on the run. BARGAIN RELAY ENTRIES NOW AVAILABLE! *TEAMS OF UP TO 3* £180 CHOOSE YOUR DISTANCE! Challenging Events to Take on New Forest Triathlons! Many of you will be aware that Joanne and Richard plan to “retire” from event organisation at the end of May after SwashBuckler and ForestMan Festival 2019. Given the number of events we have run annually for over fifteen years we have, unsurprisingly, had many queries from our athletes about what will happen thereafter. We are, therefore, delighted to be able to announce that “Challenging Events” will be taking over the organisation of events out of Ellingham and Bucklers from June 2019 with their inaugural New Forest Triathlons scheduled for June 2nd at Moyles Ct / Ellingham. It’s great news to have found a local company prepared to keep “our series” alive: a feel for what works within the constraints of the area is key to operating within the National Park and we are confident that the enthusiasm and expertise they bring will see the races go from strength to strength in future years. Relays are so much fun.